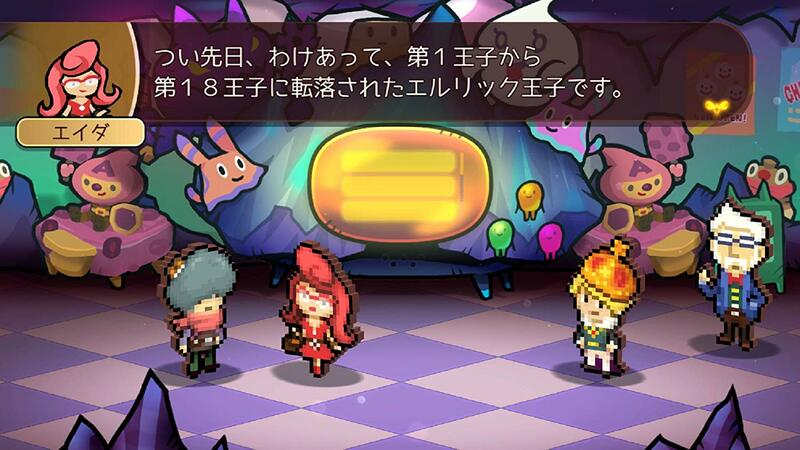 A couple of months ago, the new RPG Work x Work was announced for Switch. There’s some notable talent on the team, including Nobuyuki Inoue – who was the director of Mother 3. In a recent issue of Famitsu, the magazine published a lengthy developer interview. Inoue along with Nobuhiro Imagawa (graphics), Tsukasa Masuko (sound), Takahiro Yamane (development director), and Takuya Yamanaka (producer) talked about the project’s origins, why it’s on Switch, the gameplay, and much more. Yamanaka: Yamane-san and the others were actually the ones who carried out most of this game’s planning at the beginning. Masuko-san and I were working on The Caligula Effect: Overdose at the time, and they had approached us saying something to the effect of “Hey, so we have this idea for a game…” After looking over the official proposal I thought to myself: “We could make something really fun out of this!” I promptly responded to Yamane-san and the others expressing my desire to produce the game. That’s when you decided it’d be released through FuRyu, then… So – based on the original plans – around when did the game turn into what it is now? Inoue: Yamanaka-san kind of mentioned it; it was quite a while ago, now. Yamane: Three years ago, I think – that sounds about right. Inoue: We were at a bar talking about everything, and at the time we felt like we might have to end up crowdfunding the project. Imagawa: I had also helped out a bit with Fantasy Life, so I got a voice in development too. And so, the legendary members had gathered! Yamane: That’s right! I had gotten the affirmative from both Imagawa-san and Masuko-san, so I was pretty happy. And how did the two of you feel after getting that invitation? Imagawa: They asked me to do the pixel art for the game, and for me – I just love pixel art – that was an opportunity to do something fun and new; I took the job. What’s more, I’d be working with a bunch of friends, so I knew interesting things were probably bound to happen. Yamanaka: He basically said, “I’ll make it a console game, just leave it to me – if that’s okay with you.” To that end, character and scenario-wise, the scope of the game had just gotten much bigger! With respect to the hardware, we were pretty excited to have the game on the Switch; with the game’s cute aesthetic and atmosphere – particularly befitting of handheld mode – it seemed as if it were a perfect match. We were pretty dead-set on developing Work x Work for the Switch at that point! When did development actually begin? Yamanaka: Two years ago, now, I think. It was during 2016 when I was working on The Caligula Effect that Masuko-san came to me about development. And development has been progressing smoothly since? (laughs) So have there been any conflicting opinions amongst the team? Inoue: We’ve had some trivial disagreements, but generally there’s a mutual understanding between all the members of the team. Yamane: Yeah, I wouldn’t exactly say we clash too often – a lot of times it amounts to trying to bring up the most interesting concept first and accidentally overdoing it. Something like that, I think – we sometimes try to one-up each other with over-the-top ideas! Masuko: Many times, somebody would come up with an outrageous idea just to make everybody laugh! Yamane: “The first in the game industry to come up with (blank)” was essentially the theme – everybody had a kind of weird enthusiasm for it! Imagawa: There was one monster from the end of the meeting that had me particularly worried – the one based around the “Okra” motif. Would it be super similar to a piece of Okra, or would it be completely different; that kind of balance is difficult to achieve! In the end I had just resigned myself to it… It’d resemble Okra. Inoue: Now wait just a minute, I don’t think I said that! Yamane: That’s right! It isn’t just the core staff that’s here right now, either; the other developers and planners at FuRyu are involved too. It’s just how we like to do things – having a free exchange of ideas like that. The game’s setting is essentially an island theme-park, where “make-believe becomes reality” and where the attractions are centered around things like a brave hero and a demon king. That scenario had us thinking, “what kind of monsters would fit nicely with that?” Normally we’d stop there with the concept, but because we have so many amazing people on the team we’ve really been able to just enjoy working on the game and its inner-workings. In essence, development has been going pretty smoothly because we’re all people that love to make these kinds of things.